Hey guys! I am SO excited to share this article with y’all today because I haven’t done a good job writing about YNAB myself (You Need A Budget) and that’s just crazy cuz this is a budgeting site!! And I love what they’re doing over there! So please welcome my boy Vic from DadIsCheap.com today who shares his story on how it’s completely changed his finances and gotten his family to save and plan better for the future. Hope you his YNAB review helpful! For years my wife and I tried to budget. Spreadsheets didn’t work because we couldn’t consistently input our transactions. We tried Mint but found that it was reactive rather than proactive. It showed us what we spent our money on, but it didn’t really change our behavior. Yet no matter how motivated we were, nothing ever stuck. It wasn’t until we started using YNAB (You Need a Budget) when everything finally clicked. While other budgeting programs simply give you a tool to budget, YNAB is based on a philosophy and method that shows you – teaches you – how to actually stick to a budget. At the beginning of every month, you allocate every single dollar for your budget. This includes EVERYTHING, from monthly expenses such as water and electricity to more fun spending such as restaurants and going out. When you give every dollar a job, you can save more, invest more, and better plan for your future. You are prioritizing your money according to what’s important to you – which in our case are retirement, vacations, and funding our daughter’s college. How many times have you been “surprised” with big expenses that happen once or twice a year like taxes or car insurance? How about Christmas shopping? What about things like car repairs that you know you’re going to pay for eventually? Sometimes your budget doesn’t go according to plan. There will be times in which you spend more than you anticipate or an unexpected expense comes up, and that’s ok. Budgets don’t have to be restrictive. With Rule #3, you roll with it. With Rule #4, any income you receive in the current month gets applied to next month’s spending. You only budget with money that you already have. This (along with the money saved from Rule #2) creates a buffer within your checking account to help prevent you from getting hit with overdraft fees. Before, my wife and I always had to double check if we had enough money in our accounts before we paid a bill. By living on last month’s income, we don’t do this anymore. Any bill that comes up gets paid right away. It’s completely liberating. While people think that entering every transaction might be cumbersome, it really isn’t that bad. It takes SECONDS to input a transaction into your mobile app. YNAB also has an awesome feature where the app remembers your location, which encourages you to input the transaction on the spot. So anytime I’m at the grocery store, all I have to do is enter the amount. Everything else (account, store, memo) is already populated. I currently have fifteen (15!) different “on budget” accounts between cash, checking, and credit cards. YNAB easily organizes this by consolidating every account to add up to one “On Budget Number”. Don’t worry; opening multiple accounts over the past year hasn’t affected my credit. Last I checked, my FICO score is still sitting pretty at 800. Why would you pay $5.00/mo (or $50/year) for YNAB when you can use Mint or create your own spreadsheet for free? As a self professed cheapskate I admit that YNAB does cost a pretty penny, but it’s worth every cent. YNAB has paid for itself many times over. If you follow The Four Rules, you’ll easily “find” $50 in your budget. According to their website, the average YNABer saves $200 in their first month and $3,300 after their ninth! 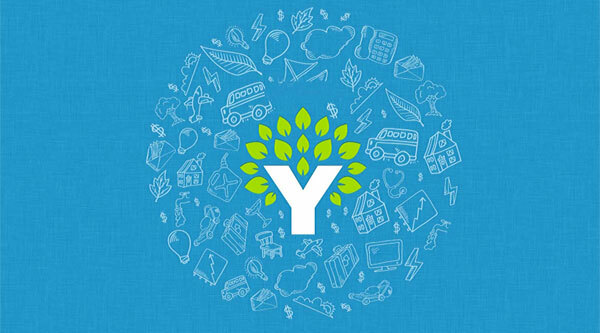 The staff at YNAB also does a great job of training users on their program and methodology with video tutorials, online courses, user forums, and customer support. They believe in their product so much that they offer a generous 34 day free trial so that you can see for yourself if YNAB works for you. They’re worth the investment. Since we started using YNAB, my family’s finances have completely changed. While we lived a comfortable life in the past, there was never a sense that we were working towards any kind of future. YNAB has allowed us to save more, invest more, and plan for the future. We have even been able to weather my current lay off with little problems. My wife and I now discuss money openly and talk about longer term goals such as retirement, paying off our mortgage early, and funding our daughter’s education. Our marriage has never been better. When you follow The Four Rules of YNAB, not only are you prioritizing your spending, but you are prioritizing your life. I’ve never been more optimistic about my family’s future. Wanna check it out? Sign up here before January 31st and get 10% off for life. **UPDATE** This post was written based on my experiences with YNAB4. 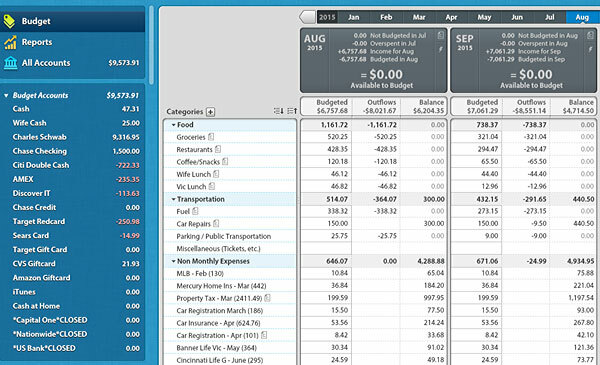 As of December 30, 2015, the new version of YNAB was released. After working on the new YNAB for about a week I wanted to mention a few of the changes. You can attach goals to categories – YNAB will tell you how much to save each month to achieve those goals. Rule #4 has been revised as “Age Your Money” – rather than simply living on last month’s income, YNAB calculates how old your money is before you spend it to show how much of a financial cushion you actually have. As always, YNAB has a pretty generous 34 day trial so that you can see for yourself if the new YNAB is for you. For those who are perfectly happy with YNAB4, it will be supported officially throughout 2016 and unofficially as long as possible. 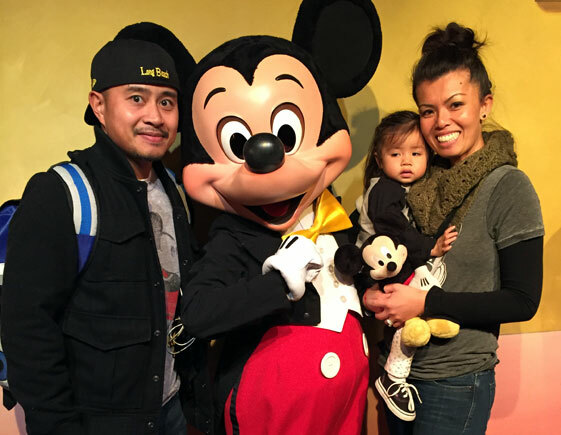 Guest post by Victor Lim, who was inspired to become financially responsible after becoming a father. You can read more about his journey into fatherhood and finances at his blog: Dad is Cheap. Already use or know about YNAB? 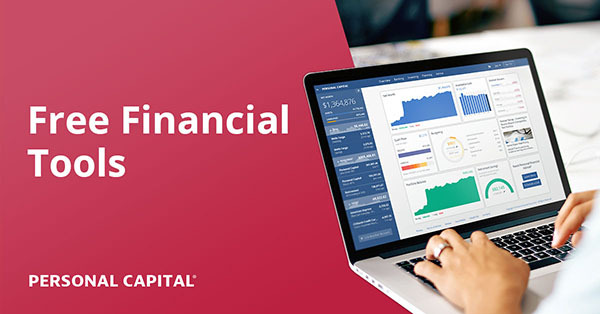 Check out our review on Personal Capital – another great way to manage your money, specifically with investments and tracking your net worth. The four rules have changed significantly since the new release, and so has the software. I’m a huge YNAB fan but have been hesitant to recommend the new version to people as it’s still pretty beta-y compared to YNAB v4. They have already released at least two updates to nYNAB that I have noticed, so looks like they will be rolling out updates/fixes/features quickly. I think there is a gap between what YNAB4 does and nYNAB, but the new features more than make up for that IMO. They need to get the reports from YNAB4 into nYNAB real bad. I know they’re working hard to add features, and Jesse has promised to add several of the most urgent ones :-) But right now it’s far from the YNAB4 standard. Far from it. Hopefully in the end I’ll love nYNAB at least as much as I have loved the previous version. I’m hoping right there with you :), YNAB4 was damn near perfect IMO. I have no doubt with time nYNAB will be even better. The four rules may have changed slightly, but overall the concepts are still similar. I admit I was hesitant when I heard about the new YNAB but am giving it a shot because I’m confident that the YNAB staff will get all the features users have been asking for soon enough (reports, search). The two stand out features I’ve seen so far is the Mint-like direct import of transactions and the ability to access it on any computer. That being said, YNAB will be supporting YNAB4 through the end of the year officially and unofficially as long as possible. So if you’re happy with YNAB4, by all means keep using it! Direct import is of no use for those of us outside of Canada and the US. Besides, I think manually entering every transaction makes you consider your purchase habits more. All I know is that this is the first time I’ve seen non-positive comments about YNAB haha… In all the years I’ve seen people talking about them it’s all from raving fans! So I’m sure they’ll get it right. And regardless I have ALWAYS loved their 4 Rules to follow when managing money. YNAB or not they def. steer you in the right direction! Yep. Up until 30th December it was pretty much only positive reviews. Since then… Well, lets just say the YNAB forum hasn’t been the same. But don’t get me wrong. I love what YNAB has done for our finances, and really hope to end up loving nYNAB as much as YNAB4 one day. You should automatically save if you live off your last month’s income. I never really considered it to be a financial crutch for automation, but you are right I need to be a participator not have everything done for me. While I do try to automate some things like bills and paychecks, I think it helps to actually see and feel each transaction by logging it in YNAB. It makes me consider every purchase if it actually falls in line with my values. I’ll get a morning coffee from Starbucks once in awhile, but I know if I do that every day, that’s easily +$100 a month that could be going to other things! I tried YNAB last year and was not completed sold on it and ended going back to tracking my budget via spreadsheet. It seems to be working great for Vic and family. Continued success! All about finding what works best for you. As a spreadsheet junkie myself (it’s what I do for a living :)), I think of YNAB as glorified spreadsheet (and I mean that as the biggest compliment). The biggest difference is the mobile apps. Instead of waiting until you’re in front of a computer to enter transactions, you do it on the spot. This helps me and my wife be on the same page as we know what our balances are at any given moment. With the old spreadsheet I used to have it used to be a chore to open the computer and enter purchases. Thanks for sharing the 4 YNAB principles. It made me feel comforted to know that the financial plan that I created for my family to follow (http://www.bandofsavers.com/2015/11/our-current-financial-plan.html) has these assumptions built into it. While you make YNAB seem like a very valuable product to pay for I have built a spreadsheet system that tracks every dollar that we spend quite easily and for free. It’s been working for us great and at this point I couldn’t imagine loosing the past 5+ years of data. If your spreadsheet works for you, that’s great! I used to budget on a spreadsheet but found YNAB streamlined a lot of the monotony that came with budgeting (entering transactions, reconciling). I know the losing history can be tough. I transitioned into nYNAB with a fresh start after 2 years on YNAB4. I figure while history is great, budgeting is more about moving forward! I can always look at my old YNAB4 file for historical purposes. I guess you can count me in as a member of the “Create your own Budget Spreadsheet” crowd. I’ve used a two-sided, zero based budget spreadsheet for decades. The right side of my budget is the anticipated monthly expense column while the left is the mirrored, live, up-to-the-minute, transaction side. I also keep the Cumulative Accounts like yearly expenses that help me avoid budget-busting surprises. It’s easy, interactive and free. Having said that, I guess I can understand where YNAB might be desirable to those who’ve not mastered basic spreadsheet development. It certainly has a place here. I actually make a living staring at spreadsheets all day! I just found that YNAB made our budget a lot easier to follow by being able to access it at any moment in our phones. That’s great if your spreadsheet works for you! I’m not trying to convince people who have their own successful systems to change :). These are such important principles. I think a lot of people don’t understanding why their “budget” isn’t working, but the real problem is that they don’t have a definition of budgeting that actually works. These principles really get at those misconceptions and solve many common problems. We don’t “budget” in the traditional sense, but we do follow these principles. I think the main reason why a lot of people’s budgets don’t work is because they don’t actually budget! They think that having a positive balance in their checking account is enough. I was that way for years :). Love the side eye the cutie is giving Mickey! I think she was confused after seeing him on TV for months and now she’s in front of the 6 foot version! I didn’t even notice that – hah! I am *thisclose* to signing up for YNAB and have been for so long – this might be the last push I need! Awesome post guys – Vic, as usual, your writing is fantastic, and J, great choice for a feature! Give the 34-day free trial a shot, and really dig into the rules and their tutorials. I’ve been using YNAB for almost two years now and I can’t even tell you how much of a difference it’s made in my life. I always made enough money to get by & live my life but one day I just wondered, where is it all going? Since starting YNAB, I’ve funded a cross country move and three cross-country wedding trips for me AND my boyfriend, plus a vacation next month & three more weddings this year without a single penny of debt or worrying about how I’m going to make it work. That’s great Jenn. I felt the same way – we had enough to live comfortably, but we didn’t really have a plan beyond that. It felt like money was leaking. Now that we use YNAB we don’t just give every dollar a job, we give every PENNY a job! At the end of the months I have precise amounts ($37.61) that I dump into savings, investments etc. because I know exactly how much we have to allocate! #3 was the hardest thing for me to learn about budgets. I am a very black and white person and my budget doesn’t work out exactly as I’ve planned I feel really defeated. Learning to just roll with the punches and accept that life sometimes throws me a curveball (or a flooded basement) is one of the best things I’ve learned about budgeting (and life). If Excel works that’s great! YNAB just makes Rule 3 pretty straightforward as you can easily shift money from one category into another to Roll with the Punches. Oh hey there, Vic! :) Nice review. I’m doing pretty well with Personal Capital and my own excel spreadsheets at the moment, but we’ll see what happens when I get a job and have some more money coming in… I might need some more tools at that point! This is a nice review, but I have to say, as a user and lover of YNAB 4, I am NOT sold on the idea of moving to a subscription based service. I don’t have much interest in making ongoing financial commitments. I’d rather pay for the software and be done — so for the foreseeable future I’m sticking with YNAB 4. Yep, same here. I haven’t registered with Mint on any similar services because I like to keep my information private on my PC and not on someone’s server (no matter how cool the service or great the privacy is). I have YNAB4 and will use it until possible. YNAB4 will be supported through 2016 and beyond so you can take a wait and see approach. I haven’t had too much technical issues with YNAB4 so I’m pretty you could use it for a long while :). I LOVE YNAB4 (as you can see my screenshots are taken from that) and felt it was darn near perfect. I am willing to give new YNAB a shot because of some of the features it offers (goals, direct import). I figure a 34 day trial wouldn’t hurt :). Crazy timing to post up a review on YNAB for sure, haha.. if only I didn’t slack 8 years to get it done! :) Though I’m sure the dust will settle and everyone will be madly in love with them again once ironed out… Def. a good thing to try if you’re just starting out or haven’t found a system that works well for you yet. Seriously considering it myself even though I love my spreadsheets! Thanks for the review! I hadn’t read too many reviews for YNAB before, but we might be willing to give it a shot. I’ll share your review with Garrett and see if he wants to give it a try. We’re all for behavior changes! No problem Claudia! What do you use currently to budget? Students can get ynab for free. There are instructions on their site about how to email in proof that you’re a student, and they will email you a temporary code to use while you’re in school. I’ve been happily using it this way for a couple of years now. I love ynab! That’s a great point! I neglected to mention that awesome tidbit! Shame on me :(. From what I understand, I believe only YNAB4 is free for students and they have yet to implement the same offer for new YNAB. Students get one year free! I’m glad to see that they came out with a new web version. We mainly use a Chromebook at home so desktop software wasn’t an option. The new price is a bit steep per year but I like the fact they give a month trial so I may have to pull the trigger and give it a try. It doesn’t hurt to give it a try! 34 days is a lot of time to see if it works for you! I know this is a post about YNAB but I’ve been using EveryDollar by Dave Ramsey, it’s free and it has really helped my wife and I get on the same page. It has both options of manual entry (free) or a version with a small fee that will automate it for you. I’ve never paid for for the automated version so I’m not sure how well it works. That’s what personal finance is – using whatever tools work for you! I’m glad to hear that Every Dollar works for you. Since I started using YNAB I haven’t realy haven’t looked at any other options. I know Dave is very anti-credit cards which definitely doesn’t work in my financial philosophy so I wonder how the program works with that. LOL I bought in the beginning of December but quickly had huge issues balancing. I switched to NYnab and so far things are going well. One thing I really don’t like about either of them is I can’t tell at a glance how much money I have in my checking account. As soon as I get paid I move a lot into savings and just transfer back if I need to. I understand that when I get to the point that I’m living off of last months money it won’t be such a big deal but until then I’m balancing in both Quicken and YNAB. Lots of haters in the forums so its hard to get help if you need it, and the support staff is just giving a canned response to look at their videos. It was bad for them to push the release on New Years when may people make new resolutions to budget better. I totally see the benefits to using this so I plan to stick with it. One thing that might help is if you use *gasp* Mint or Personal Capital to check what your bank says is your balance. With YNAB4 I used Personal Capital along with YNAB whenever I reconciled my accounts. Now with the direct import feature in nYNAB I don’t have to :). I believe that was probably the reason to push it out right before the New Year – to get those potential customers that aren’t on a budget. Budgeting has always been a weakness of mine, although i may not indulge into the YNAB program I appreciate those 4 rules, im going to use them as a budgeting guide for now on! That’s great! The good thing about the 4 Rules is that you don’t necessarily need YNAB to implement them. It’s just that YNAB makes implementing the rules so easy :). I have a question. I do have YNAB on our home computer but we never ever use it because I am mostly on my work laptop and iPhone and my husband uses his own mobile and work laptop. Is the web based app now released? Can I use it on my iPhone and does it let you do everything the old YNAB does (import the bank transactions etc)? Yes – the new version that’s web based was just released. 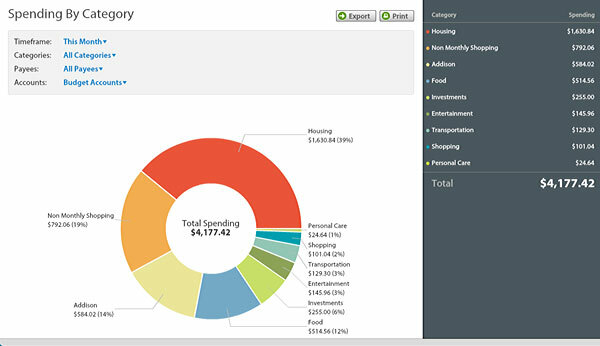 You can do a little more on your iPhone app as you can now modify budget amounts within the app. Regarding importing bank transactions – it’s actually better now! YNAB directly connects to your bank accounts and will match up with any manual entries you do. Makes reconciliation so quick! I still don’t understand the allure to YNAB. Its expensive and its a hassle to manually enter transactions. I tried it for the intro period and honestly I hated every second of it. I’d rather do mint. The only thing with mint is that you need to stay up on how it categorizes things. Other than that its 10000X better than YNAB for budgeting. Hey, it’s all about what works for you! I completely understand that YNAB isn’t for everyone. It’s just what worked for me. I started using YNAB4 in November 2015 and it changed my life. I have always been a shopaholic without a clue as to where my money was going. For the first time, I feel in control of my finances. I deliberately went with YNAB4 as I did not want any direct connections to my bank account. I will be sticking with YNAB4. That’s great Kim! I was the same way – not a shopaholic, I just didn’t know where are money went. Would LOVE to love YNAB however, the customer “service” is awful. I’ve had a problem for 2 weeks and they have yet to help me at all even though they keep sending stock emails when I ask for help. Awful. Really? I’ve never actually heard that before, sorry to hear :( Maybe it’s due to all their changes lately or something? Happy to pass over your info to my contacts there if it’s still not fixed for you, just lemme know! I’ve also been having problems lately, Amy. The program worked fine–until about a month ago. Now, the money in my budget does not match the money in my accounts. I’ve had to reconcile accounts about every 3 days just to keep on top of what my money was doing because the money shown in my budget is not accurate. Income is not showing in my budget, and expenditures are showing up out of nowhere. (Categories suddenly show up red, when I haven’t input any transactions for those categories.) I’m back to monitoring my account balances instead of trusting my budget. The entire program is now out of control., and they haven’t fixed anything after the flood of emails I’ve sent to Customer Service. I’m so sorry to hear that Lori. That is not at all the experience we are going for! 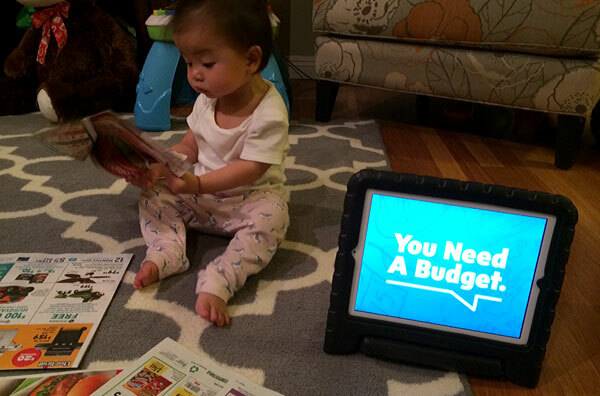 I’d love to help you get your budget up and running properly. If you send me your email (lindsey @ ynab .com) we’ll look into your account and make sure you get a response back today! Again, so sorry about that, but we can get to the bottom of it! They have not added a way to print (or output a budget report). They smugly brag that it is like the iphone not having a headphone jack. Sorry guys (it’s just lazy). When you have spent months inputting data and you want to print it or report, not being able to do so is very frustrating. At least with an iphone, you can use a bluetooth headset or an adapter for a wired headset. YNAB offer no way to get anything out except your raw data (basically your bank statement). For me it is a dealbreaker. I live in the UK and the new YNAB’s automatic import tool does not work with UK banks. I think YNAB is a great app and deserves appreciation and acknowledgement for what they have done. However, $84 per year is too much and I’m really struggling to convince myself to pay a premium price. A cheaper alternative might be GoodBudget app. Surprised to see all the negative feedback. I use and love YNAB. Like the story says, I was a mess before YNAB. All that is different now. Before, no matter how hard I tried, I could not budget. I was missing something but couldn’t figure out what. YNAB helped me, and taught me, how to manage my money. Their process, and classes to teach you how to use it, are the best ever. Before YNAB I couldn’t even dream big enough to dream of where I am today, 5 years later. When changing from YNAB4 to the new YNAB, there were many snags along the way, and the reports still aren’t great. None of that takes away the dreams YNAB has helped me achieve. I understand many people don’t need a budget. Some can do this FI thing without one. I couldn’t. I needed one and am grateful I did. YNAB has completely changed the way I think about money today, all for the better. So glad to hear that :) Amazing feeling once you find something that really clicks! And good job staying with it for over 5 years too!